Natchez provides year round interest in the landscape with its beautiful exfoliating bark in a range of warm cinnamon browns and creams. 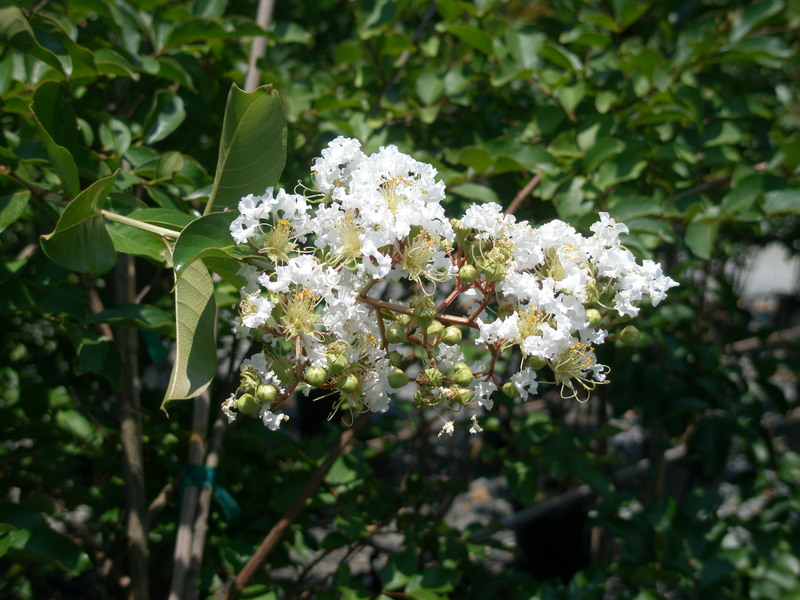 Pure white blooms first appear in June and continue into September when the leaves begin to turn from a glossy green to various hues of yellow. Will reach 30 feet in height and width.